Cargill has sponsored a veterinary student training clinic at the Thai Nguyen University of Agriculture & Forestry. Thai Nguyen City, Vietnam – November 6, 2014 – Cargill Vietnam today celebrates a major milestone. 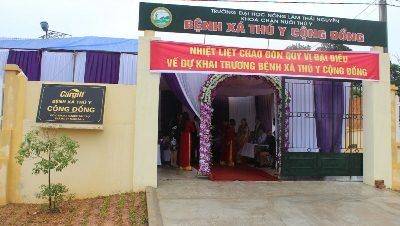 The company unveiled the 70th education facility built in Vietnam under the umbrella of “Cargill Cares,” an ongoing employee-led initiative which began in 1995. Cargill sponsored the building of the Public Veterinary Clinic at the Thai Nguyen University of Agriculture & Forestry, which will serve as a community veterinary clinic to help train budding veterinary students. There is still more work to be done. Cargill has pledged to build 75 schools and education facilities in Vietnam to educate some 15,000 students by 2015 – a significant year that marks Cargill’s 20th year in Vietnam and Cargill’s 150th anniversary globally.